One of the most awesome advantages of artificial rocks is that it allows us to be very creative in designing a water feature of choice. 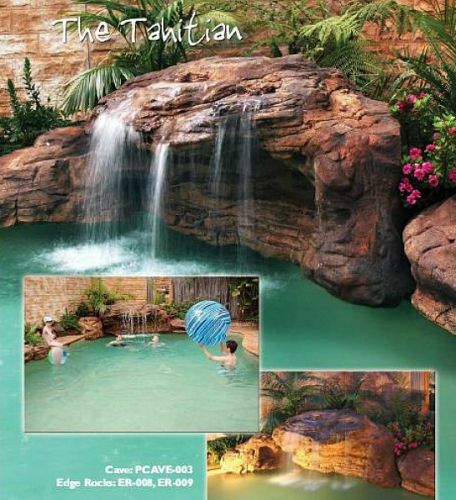 Our spectacular Tahitian swimming pool waterfalls kit complete with edge rocks is a perfect example of a three piece 18' pool rock designed for the swimming pool landscape. 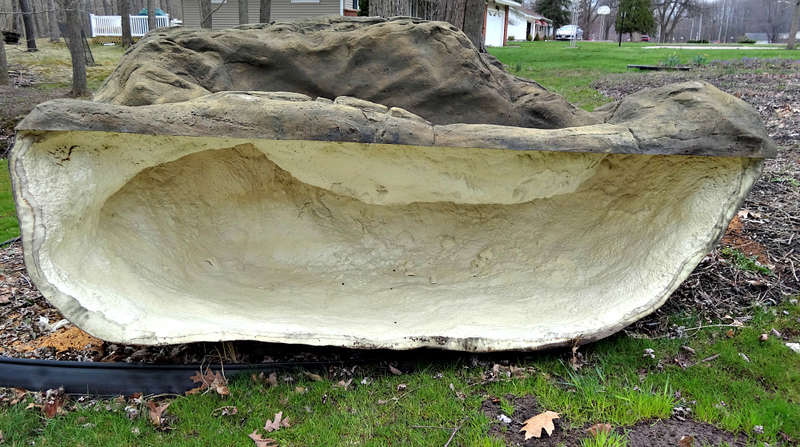 This beautiful pool waterfalls rock is the largest of our cave like waterfall designs. This massive swimming pool waterfalls called the Tahitian has a main waterfalls rock that's about 43" high and 105" long. The specially designed edge rocks gives this gorgeous pool waterfalls a complete rock formation for a tropical water garden paradise for your swimming pool dreaming. This spectacular backyard pool landscape feature and pool waterfalls kit comes with a 1.5 inch (40mm) water outlet fitting that can easily be hooked up to your existing pool pump. 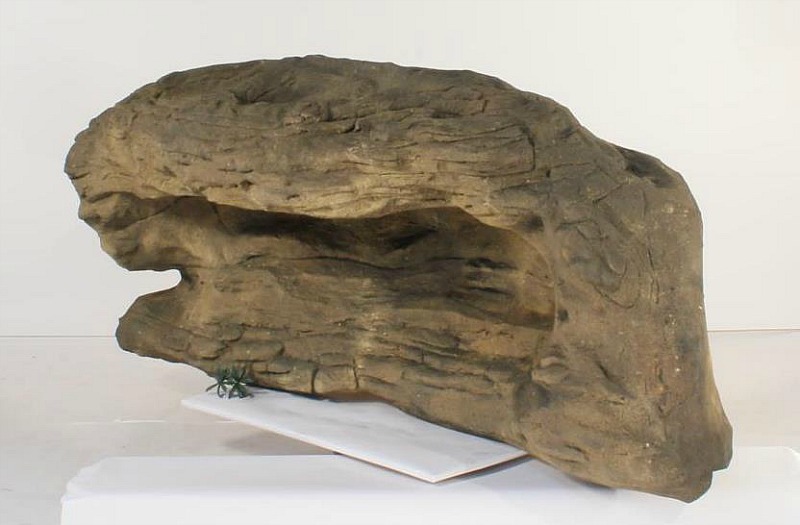 These decorative waterfall pool rocks are made from a light weight combination of polymers for excellent properties and characteristics for the ultimate waterfall design. Polyurea, being the super polymer of plastics has excellent properties for temperature while being stronger than cement and other waterfall materials. The top coating of our swimming pool waterfalls is a formulation of natural oxides like sand and rock giving these spectacular waterfalls the complete natural and realistic look. 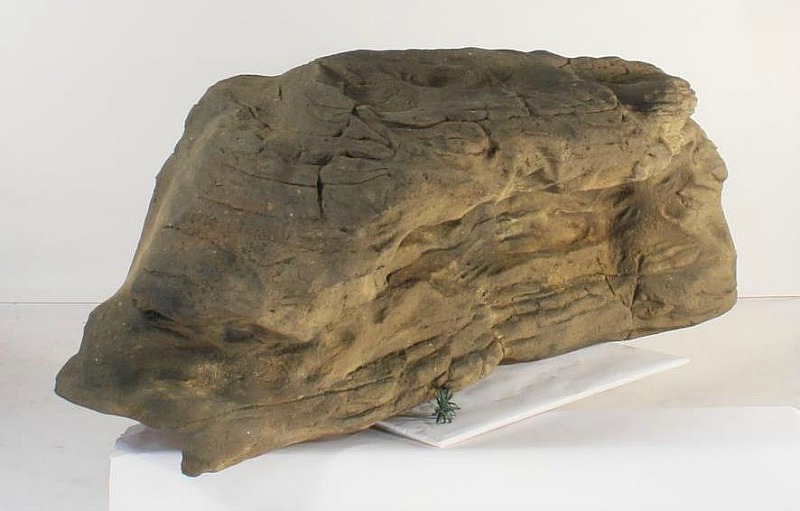 Additional waterfall rock coloration and makeup is further explained in our rock waterfall matrix. Also, our pool water features are designed for both chlorinated and salt water pools. Our breathtaking pool waterfall kits are an excellent addition to your outdoor or indoor pool decor, and will surely be the main attraction of all your backyard get-togethers and pool parties. L 105" x W 53" x H 45"
L 54" x W 38" x H 20"